For the highest quality cleaning and restoration services for flooring, countertops, and other applications, choose Knoxville Marble Polish Premium Stone Care. Natural stone is incredibly elegant and durable, but it does need professional attention from time to time. We provide expert repair services, virtually erasing, chips, holes, cracks, and other damage. We strip coatings, clean and sanitize, level uneven tiles (lippage removal), hone, polish, color enhance, seal, and protect natural stone — from softer and more malleable stones like marble, limestone, soapstone, onyx, and Cantera to harder stones like travertine, granite, and flagstone. We use some of the same equipment and processes used to restore natural stone to restore terrazzo, giving it a beautiful, natural shine that outlasts and outperforms artificial shine achieved with topical coatings. The benefits of polished concrete flooring are numerous. Our concrete services include patching, repair, polishing, sealing, staining, epoxy coatings, and more. 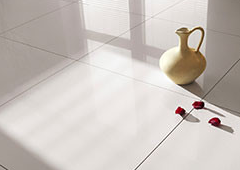 Tile floors and surfaces, such as porcelain, ceramic, mosaic, glass, and other types of tile, are relatively easy to maintain with regularly scheduled professional deep cleaning services. Our powerful equipment and cleaning solutions achieve dramatic results compared to household cleaners and elbow grease. We extract dirt and grime from tile surfaces and flush out contaminants that get trapped deep within porous grout lines. Once your floors and surfaces are completely clean, we can seal or color seal the grout lines to help make regular cleaning more productive. We also service Mexican tile, Saltillo, terra cotta, and other types of clay tile and pavers. At Knoxville Marble Polish Premium Stone Care, we can instruct you on the proper day-to-day care of your natural stone and tile. We offer a free, downloadable Care Guide and can recommend Care Products to help you keep your floors and surfaces looking great. We also provide a regularly scheduled maintenance program, upon request. Extremely professional installation and we couldn't be happier with the results. Ron and Luis did an outstanding job. We had a couple of structural issues that they easily took care of. Bring on the rain!!! !